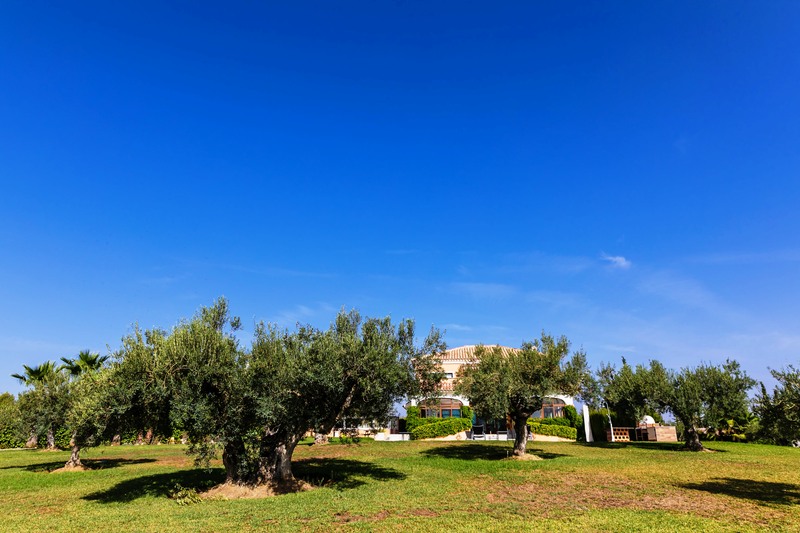 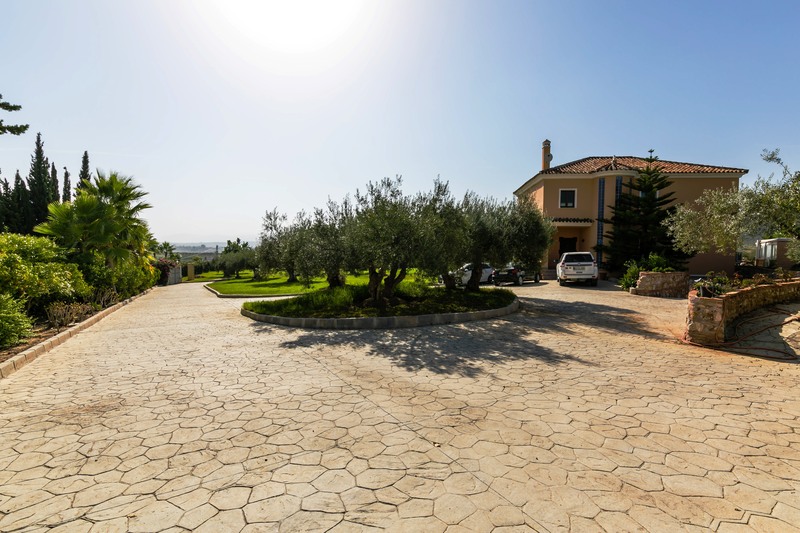 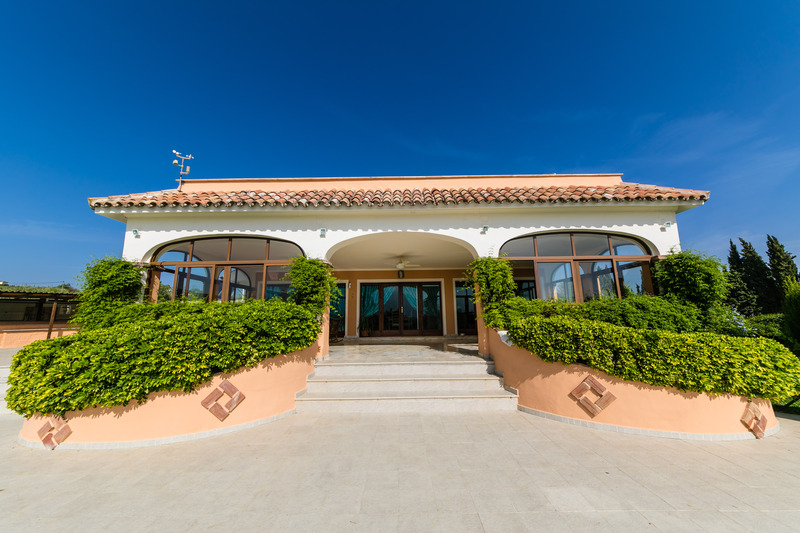 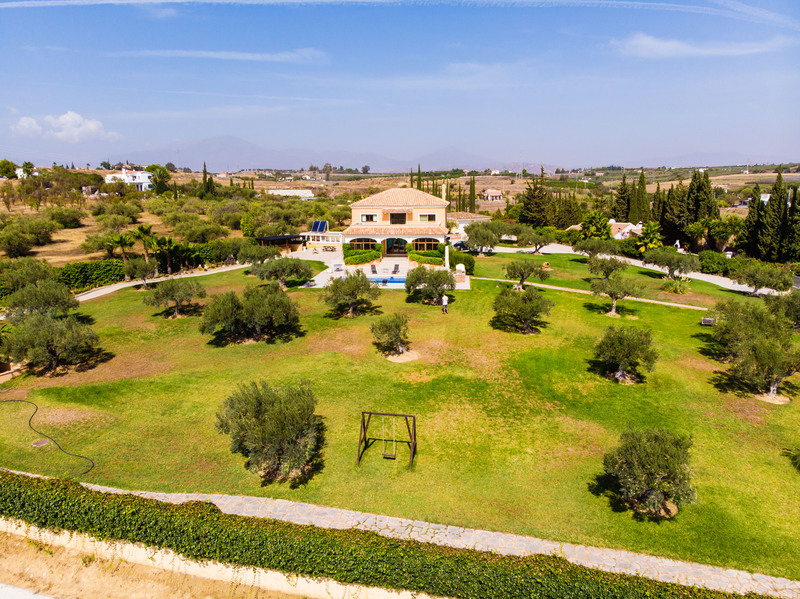 Luxury Villa with a separate stable yard and enormous arena. 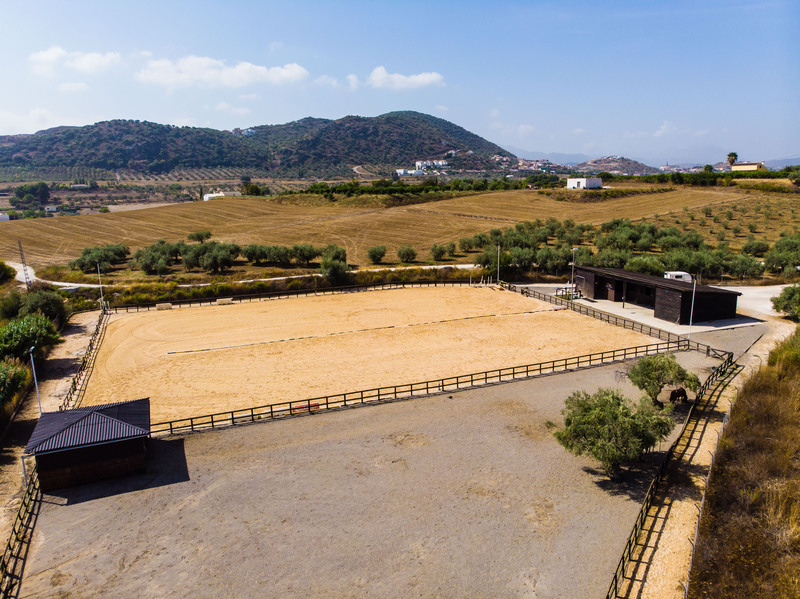 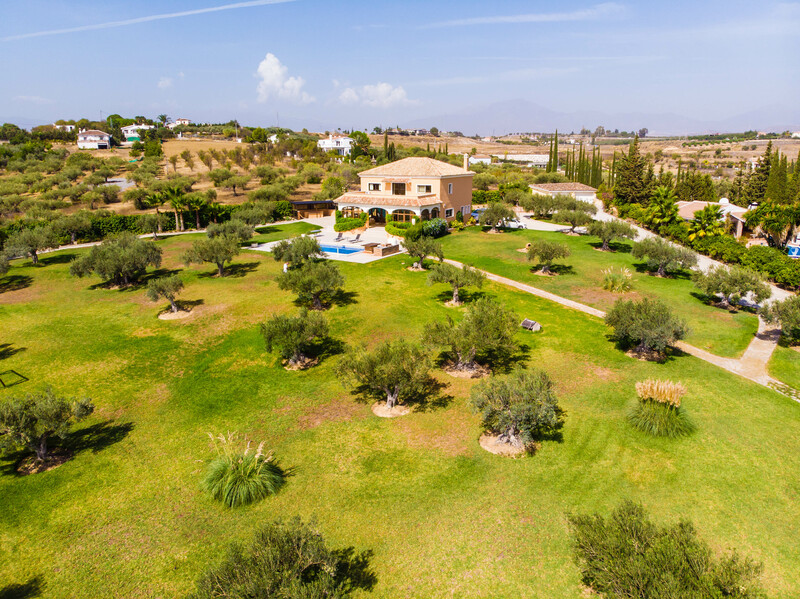 This equestrian property with luxury Villa, has a large arena for either showjumping or dressage. 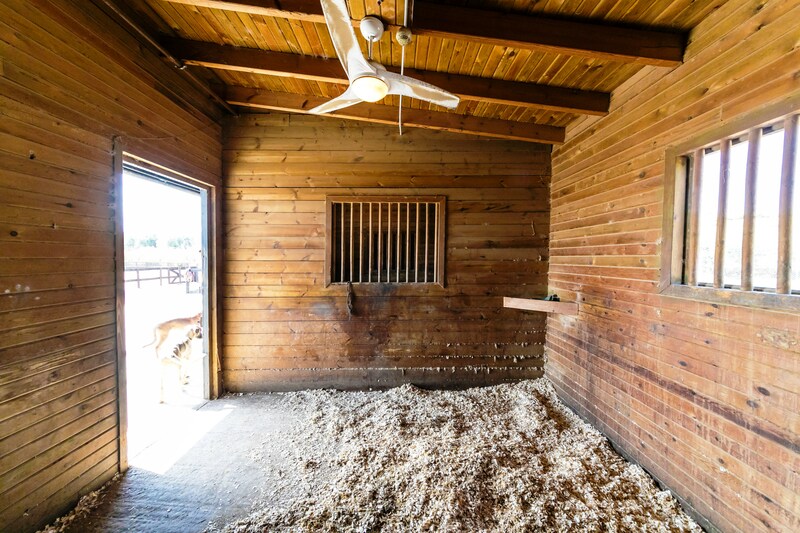 Currently it has 3 large stables and 1 smaller stable, and a very large tack room and hay barn. 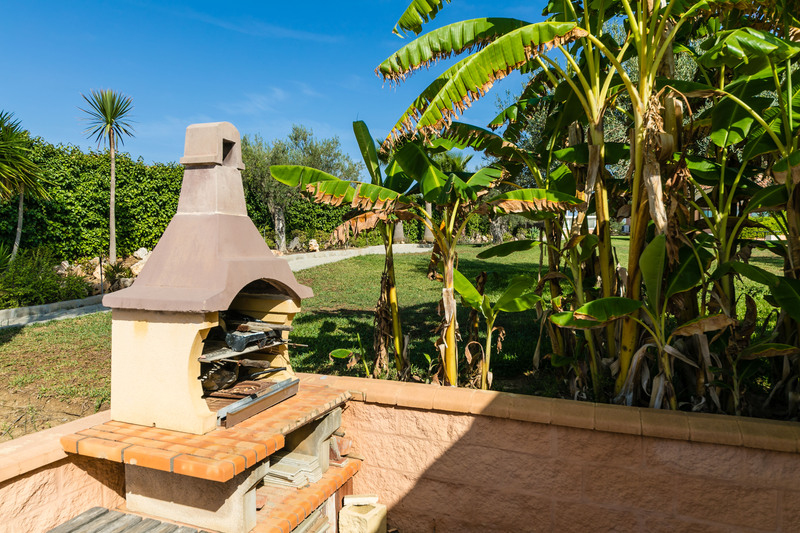 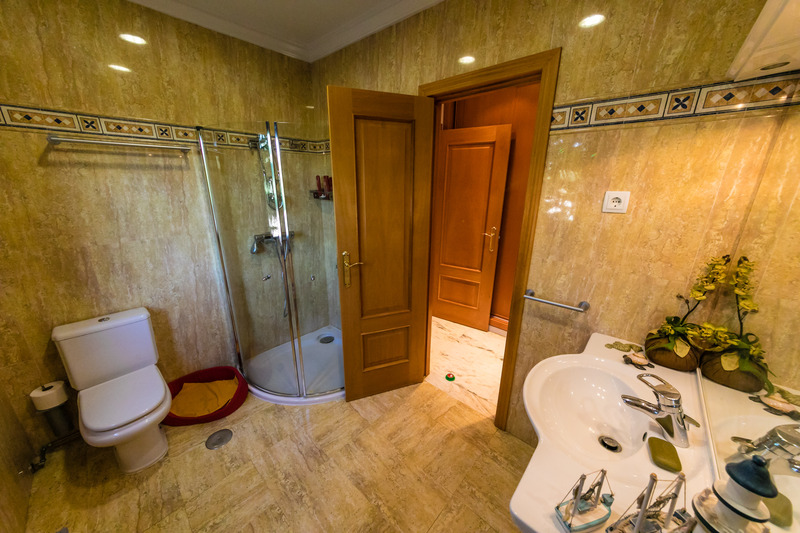 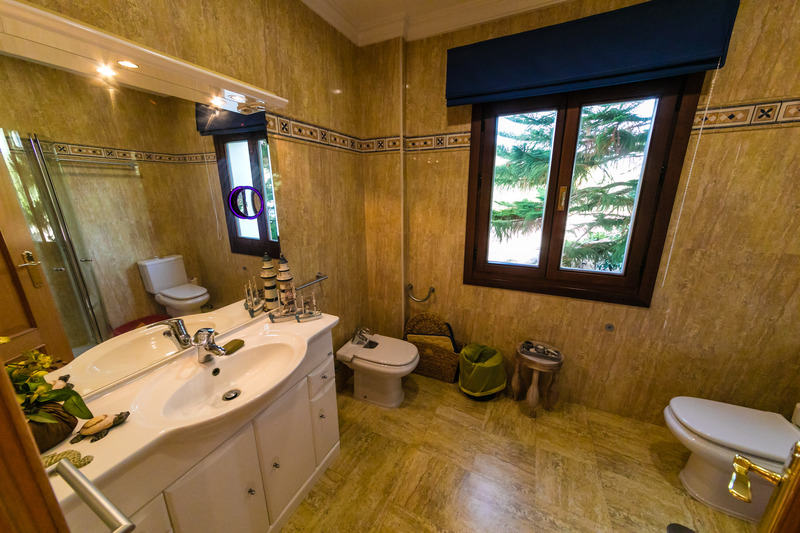 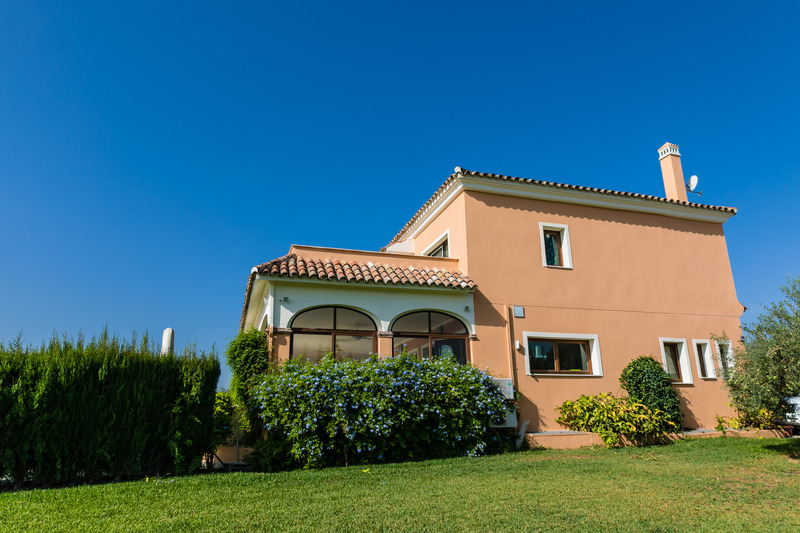 The luxury villa has all the mod cons you would expect from a high quality build. 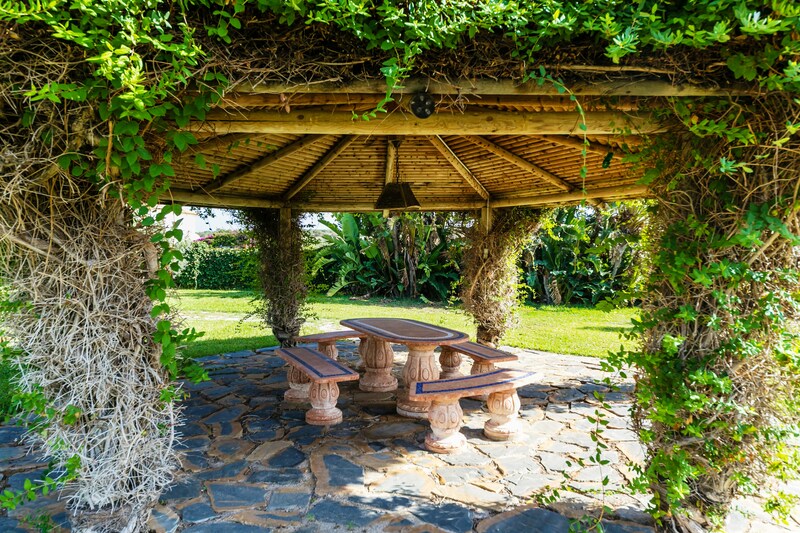 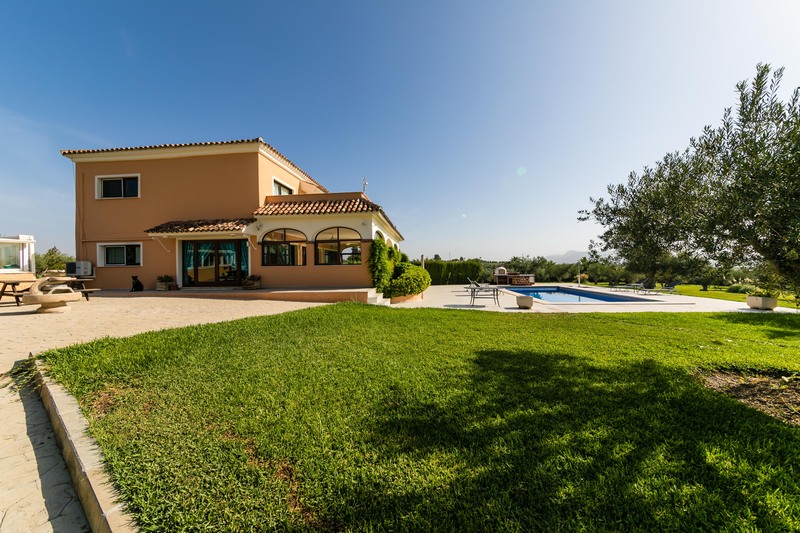 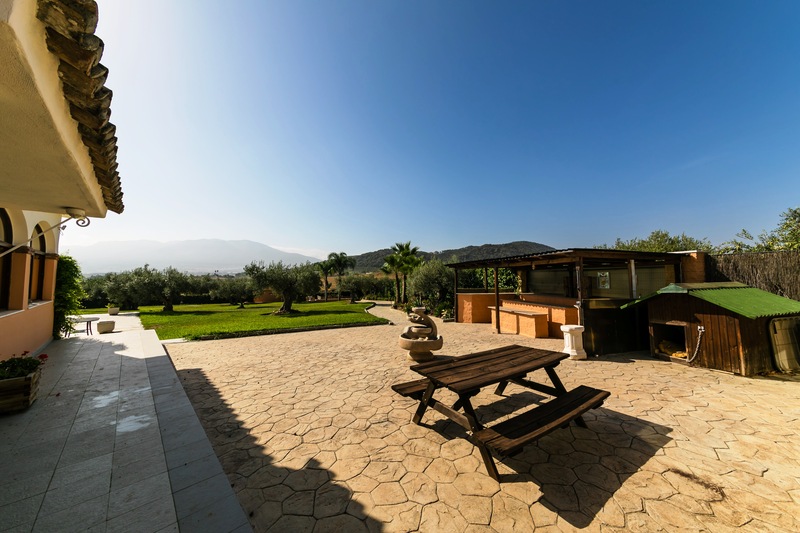 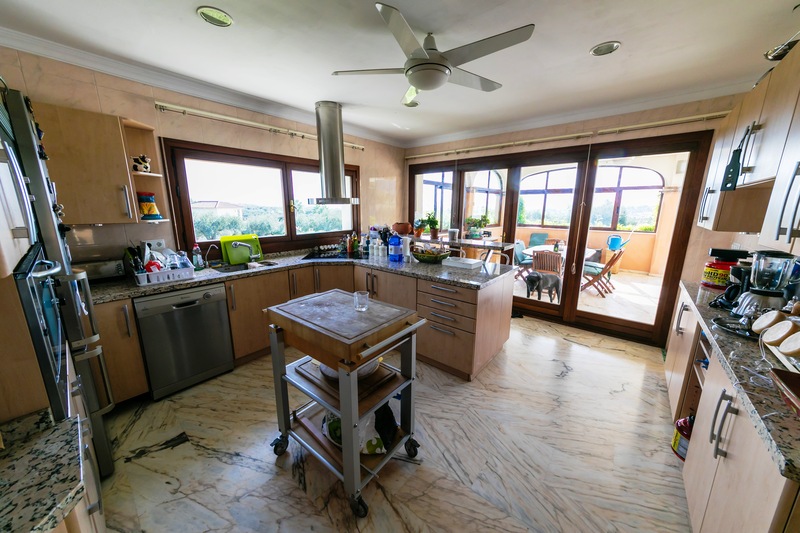 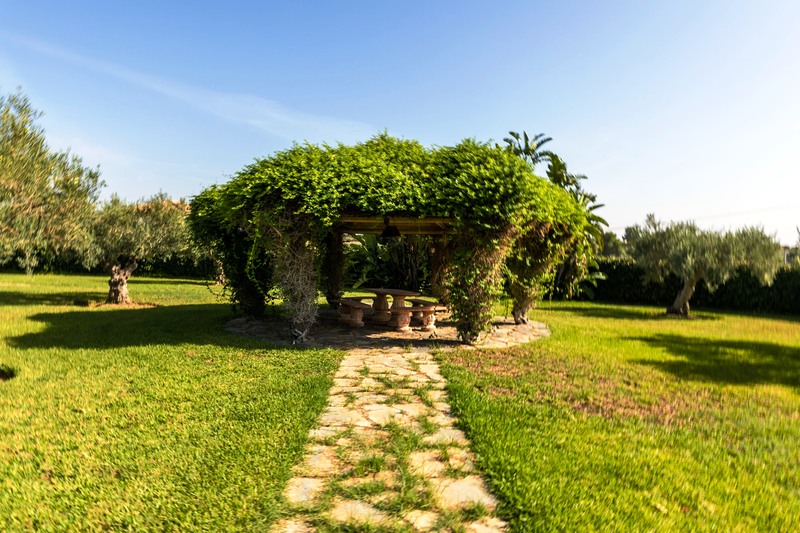 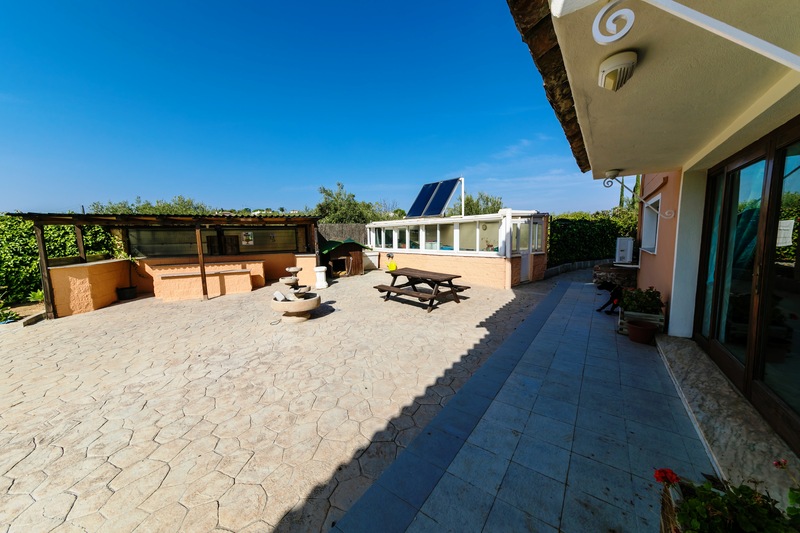 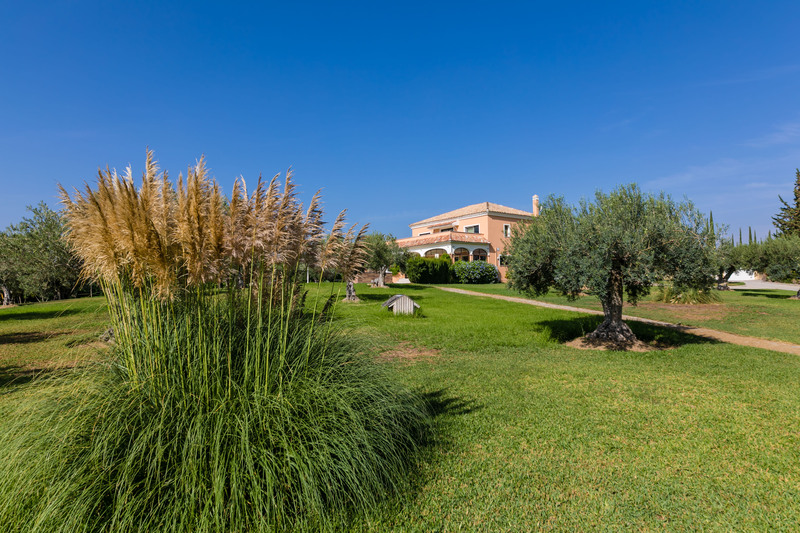 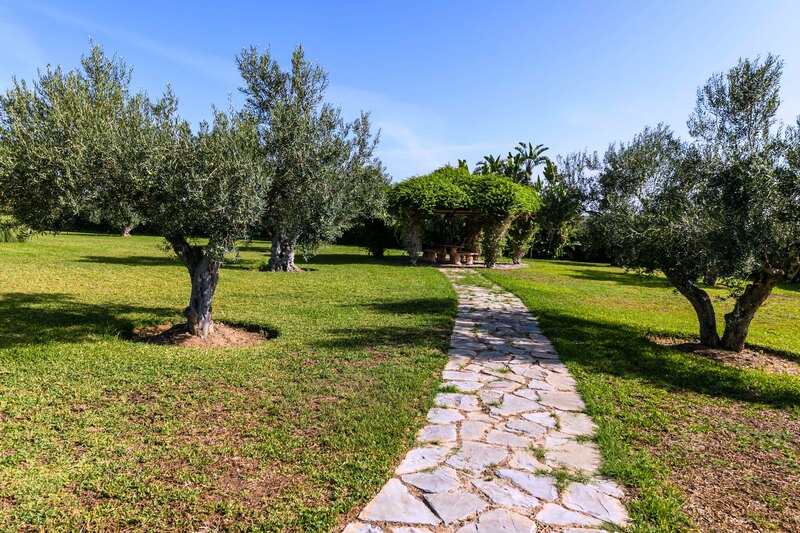 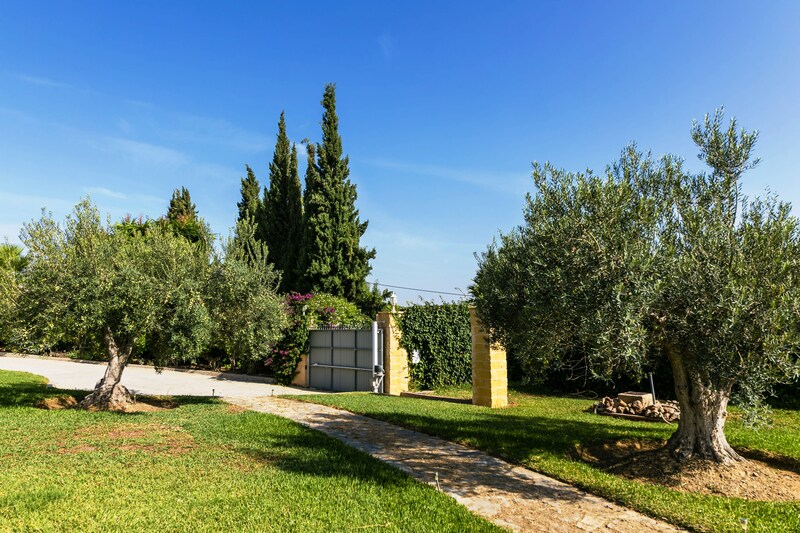 This impressive property has been designed and built to the highest standard and sits on a plot of 15,000m2 of flat terrain with beautiful panoramic views of the Guadalhorce valley and the town of Alhaurin el Grande. 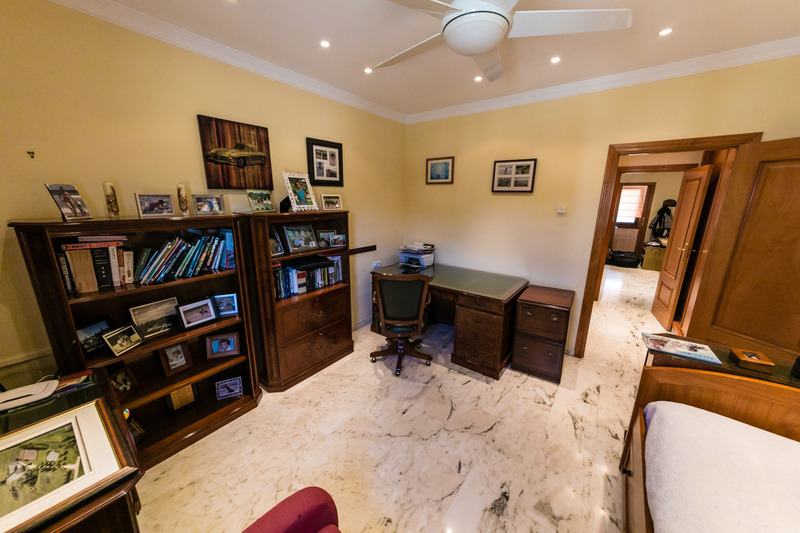 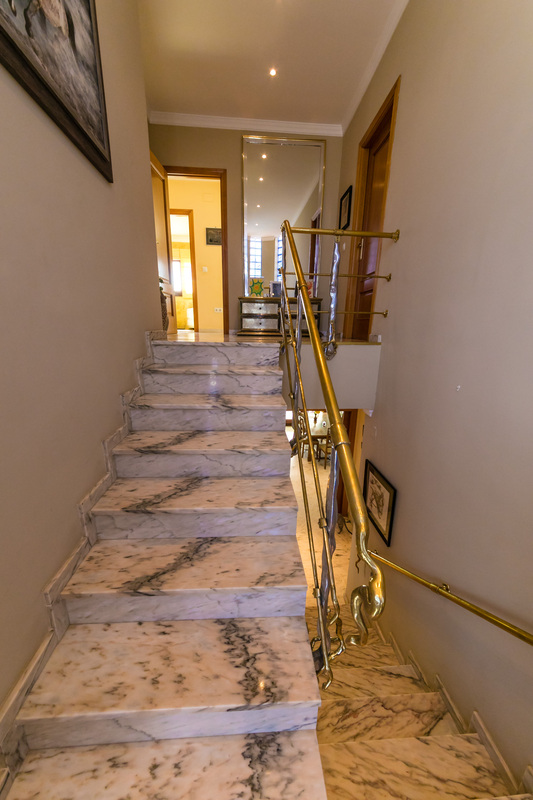 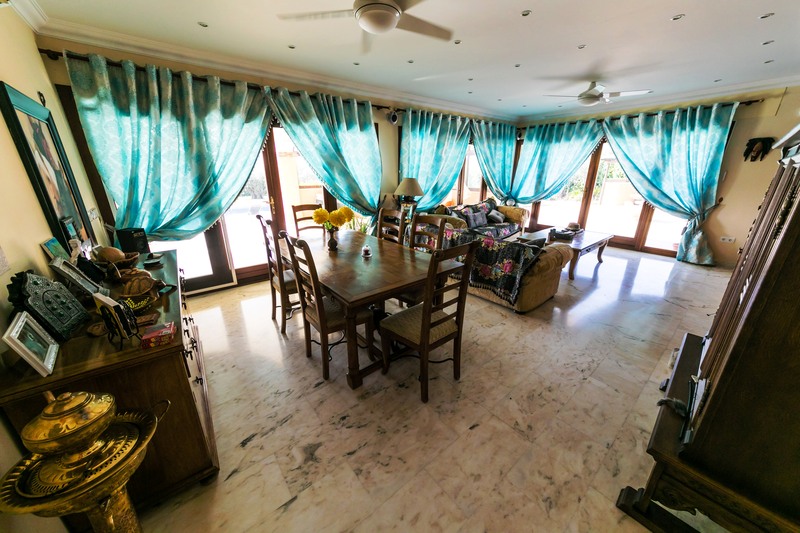 The house is built over 3 levels with Portuguese pink marble floors throughout. 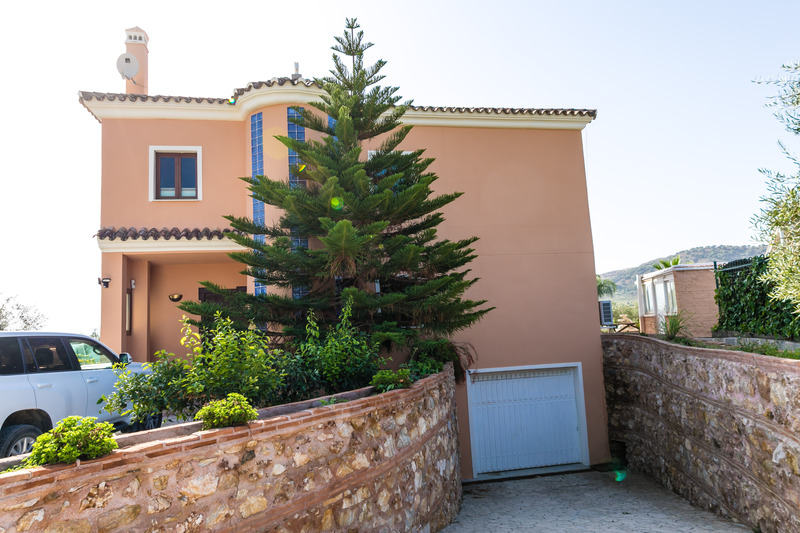 It currently features 5 bedrooms but it could easily be converted to create 6 bedrooms, if required. 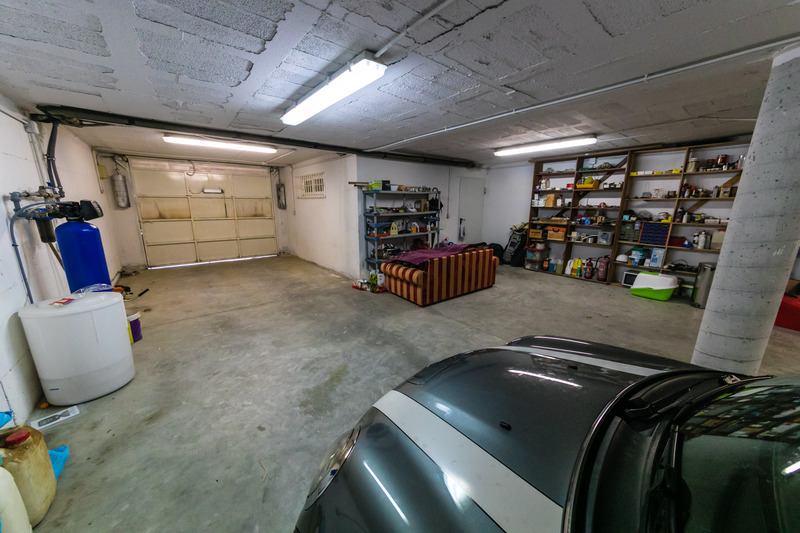 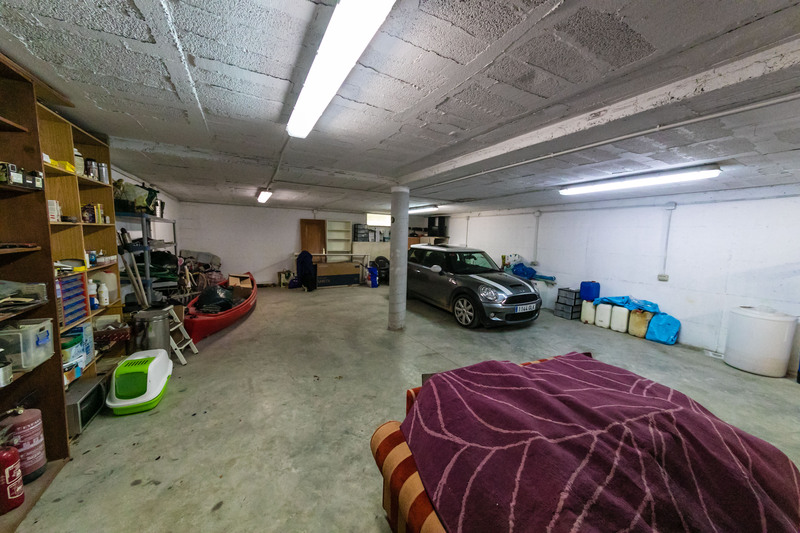 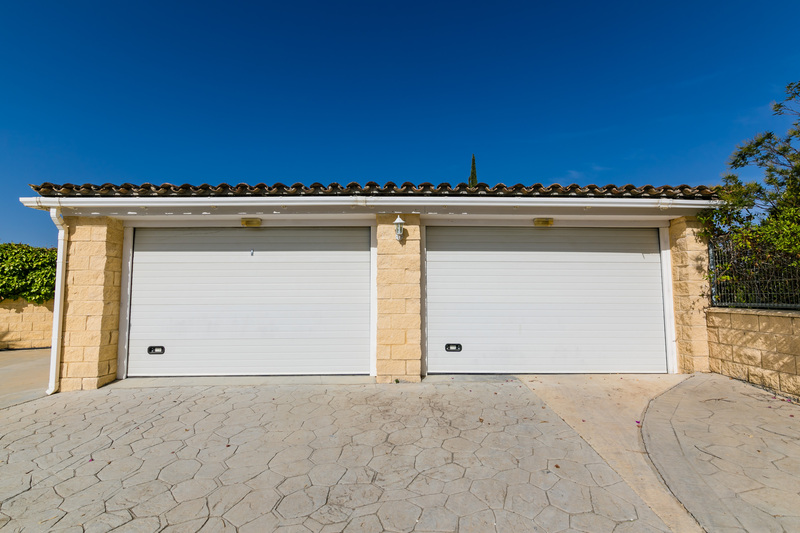 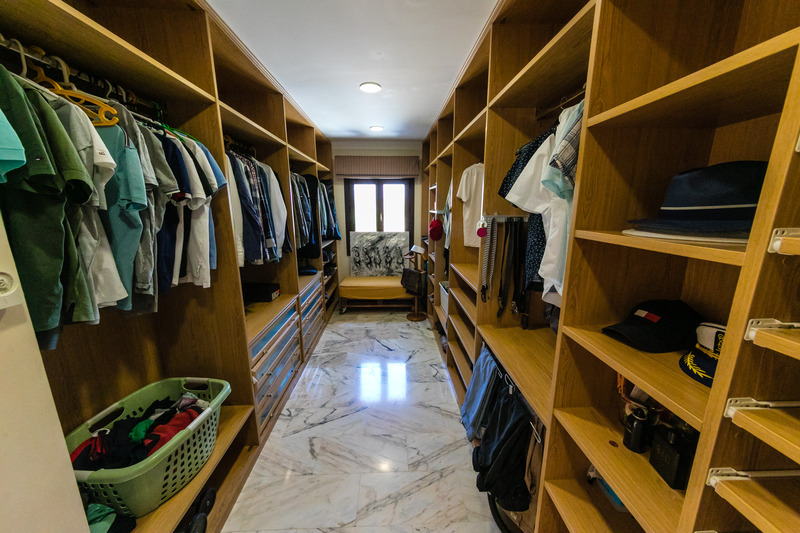 On the lowest level you will find a large garage with room for 4 cars. 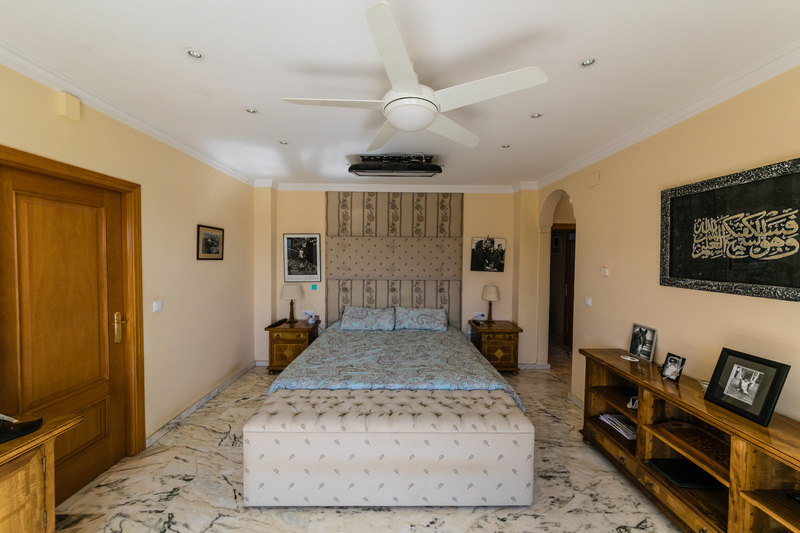 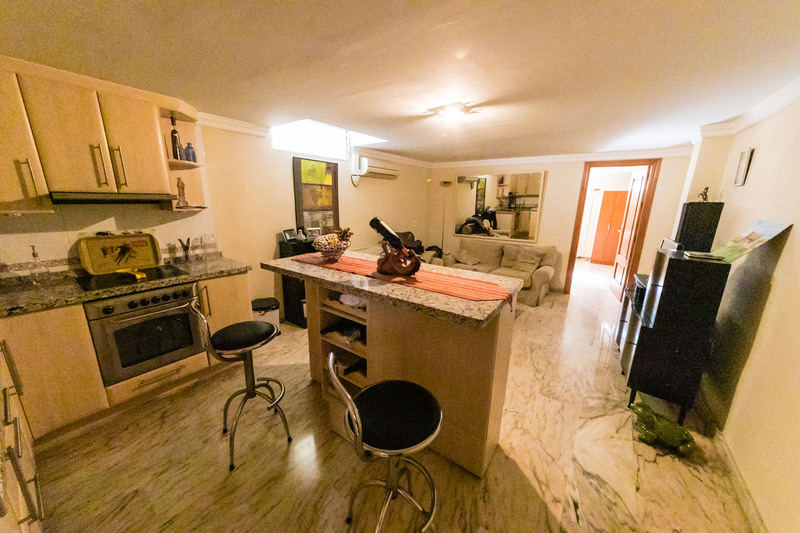 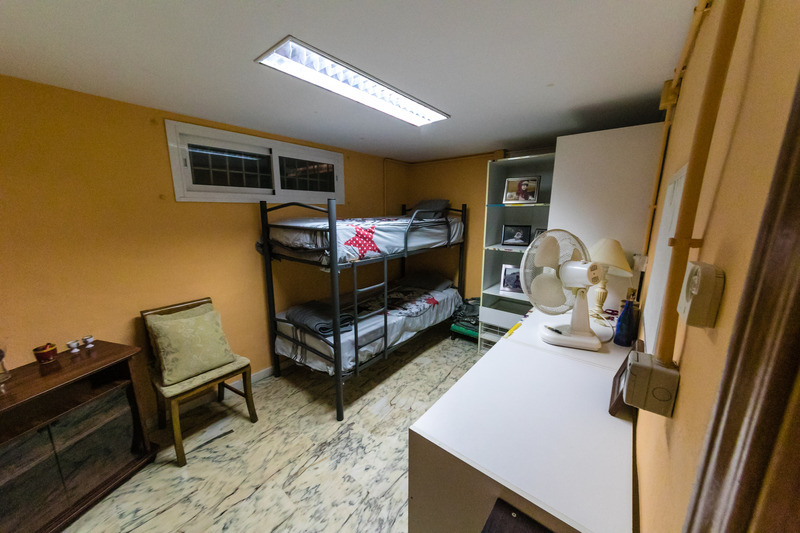 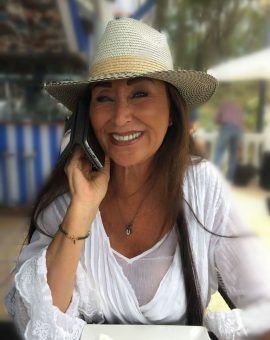 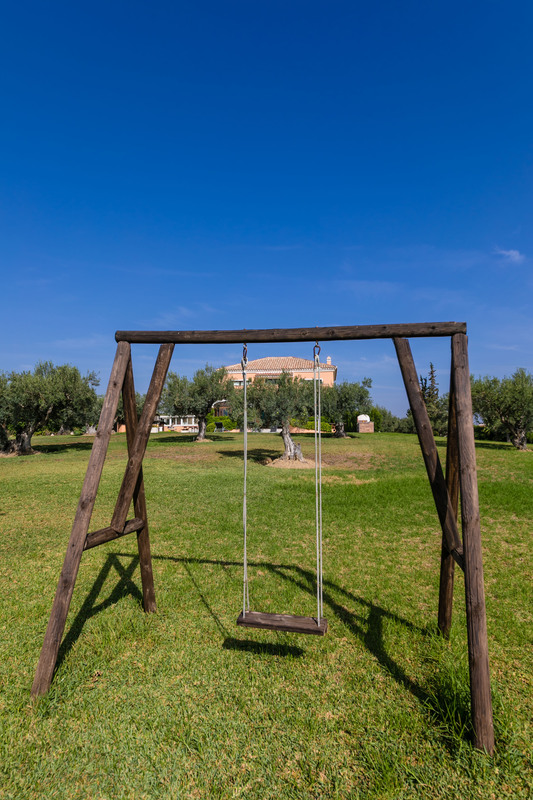 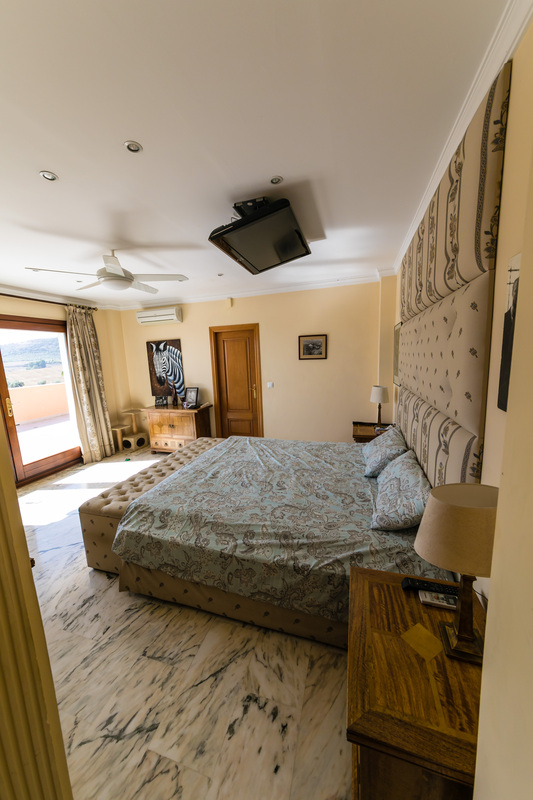 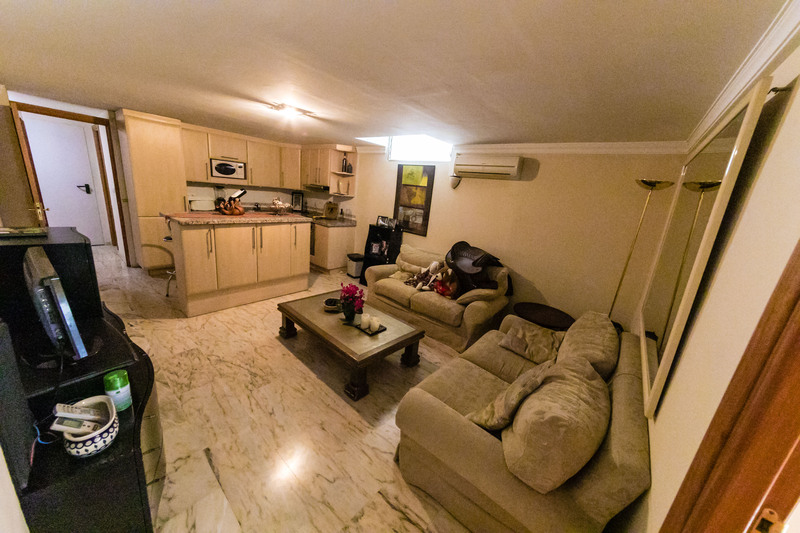 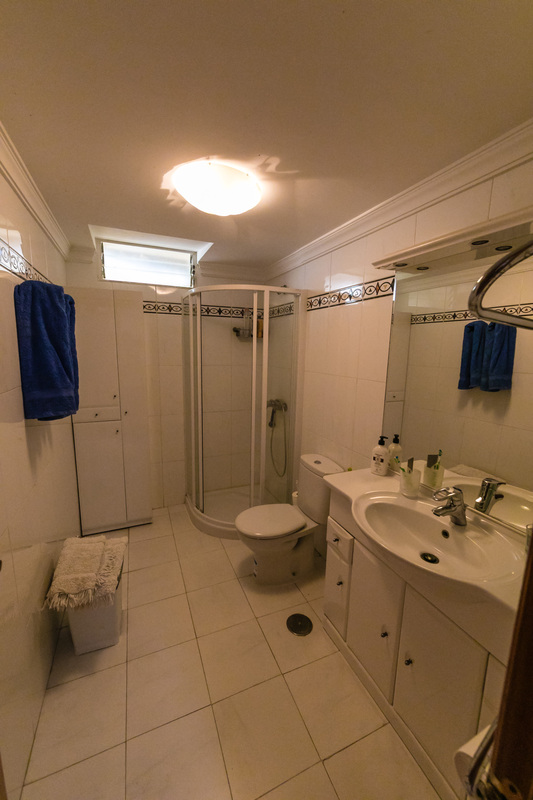 There is also an independent apartment for guests or staff that comprises a bedroom, a living room with an American kitchen, a shower room and another bedroom. 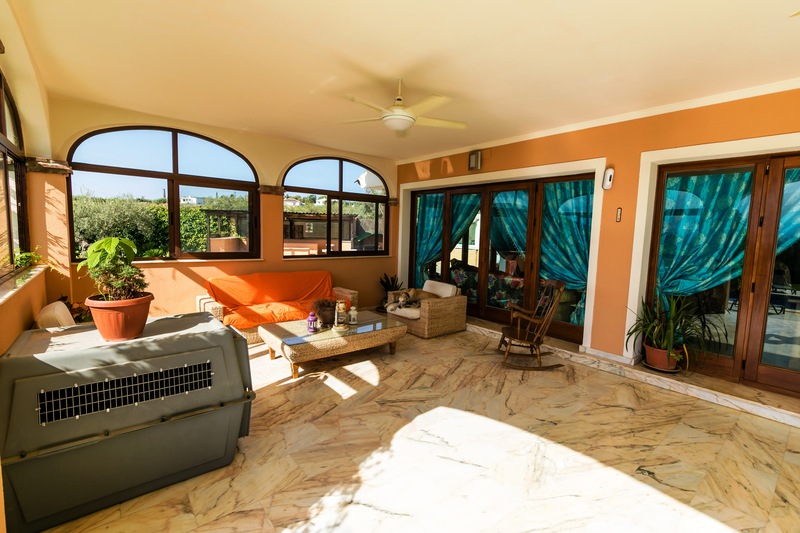 On ground floor level you find the elegant courtyard entrance, a hallway with toilet for guests, a modern Danish style kitchen, a living/dining room. 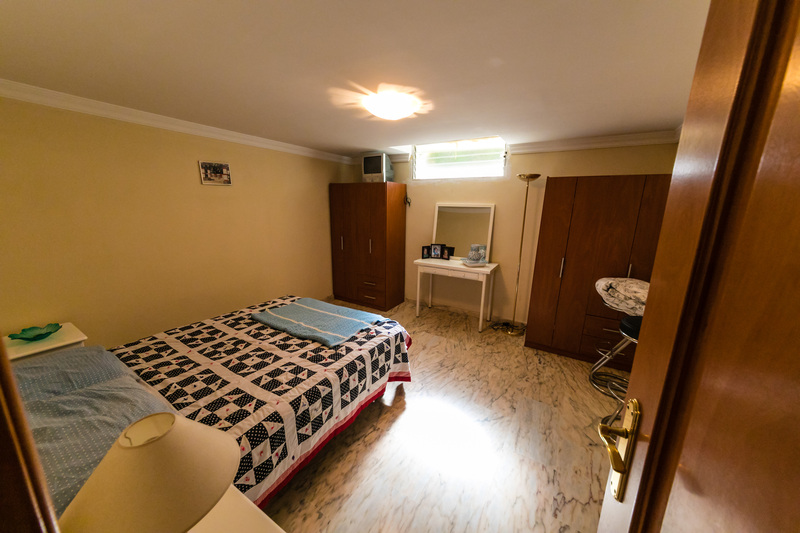 Also a bedroom/office with en suite bathroom, wardrobes and dressing room area. 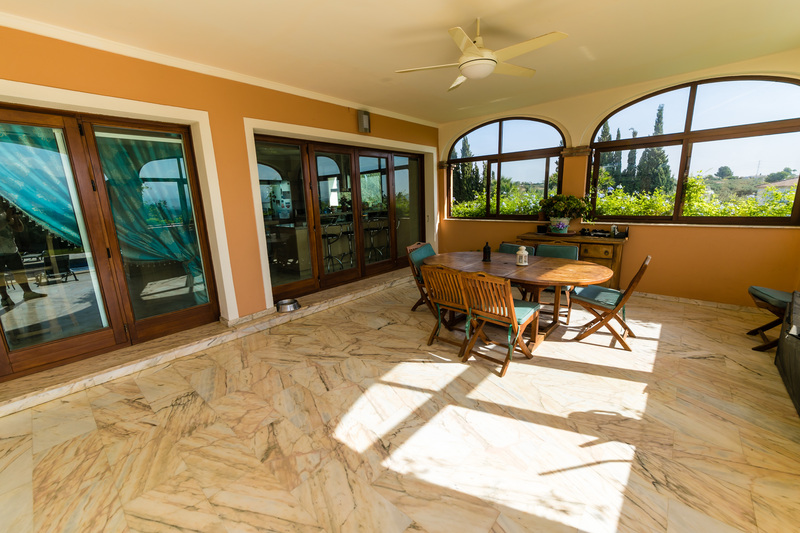 The kitchen, dining and living room area open onto a large terrace covered and glazed, with access to the pool and garden. 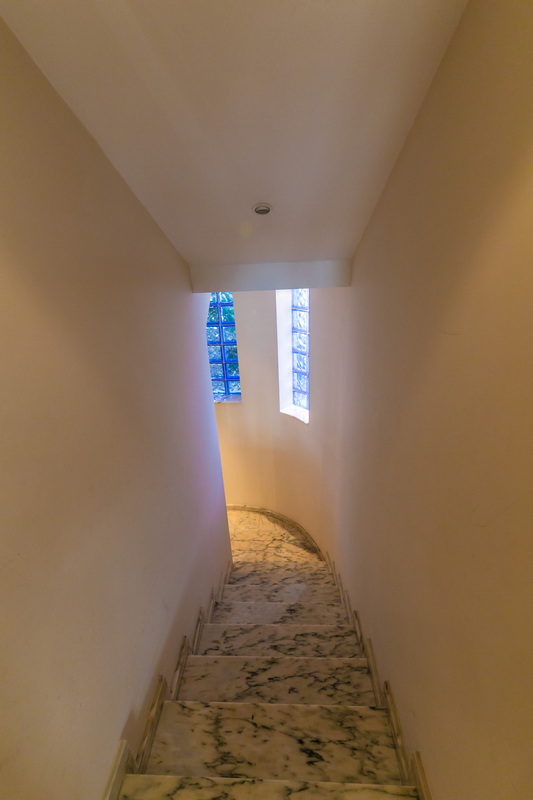 The first floor is accessed by a bespoke marble staircase designed by a local artist that leads to a large master bedroom suite. 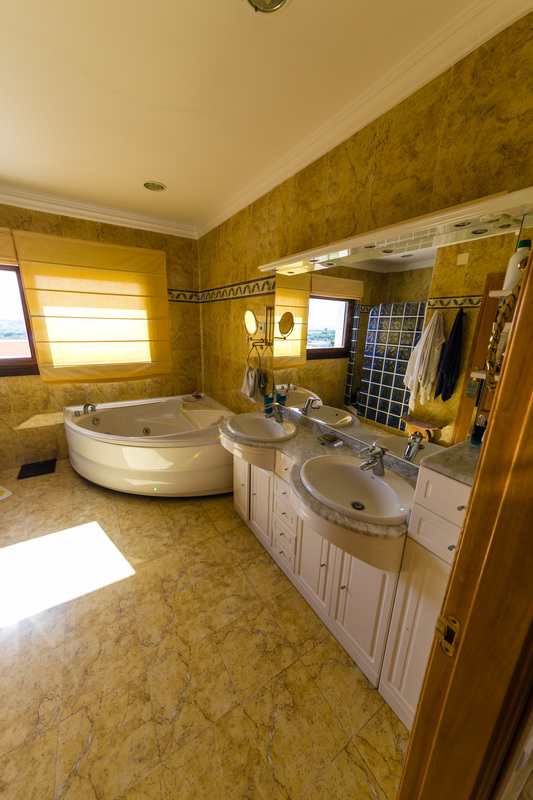 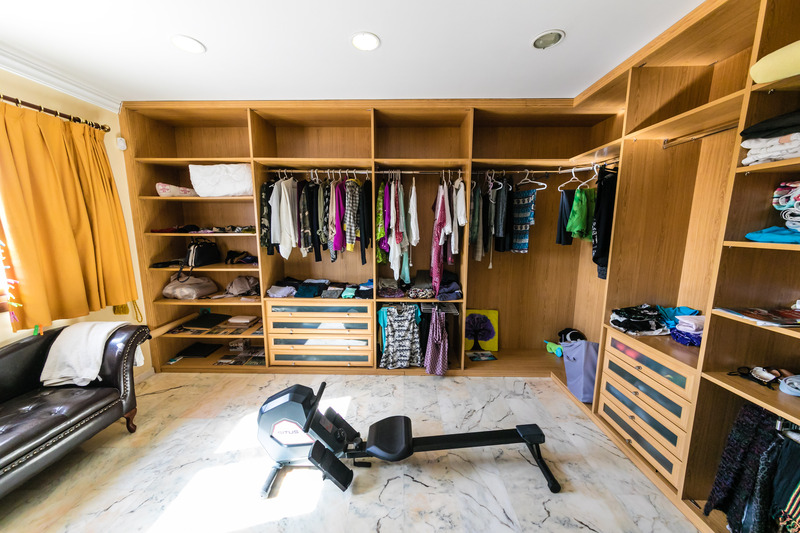 This comprises of the main bedroom, his and hers walk-in wardrobes and a large bathroom with a spa bath. 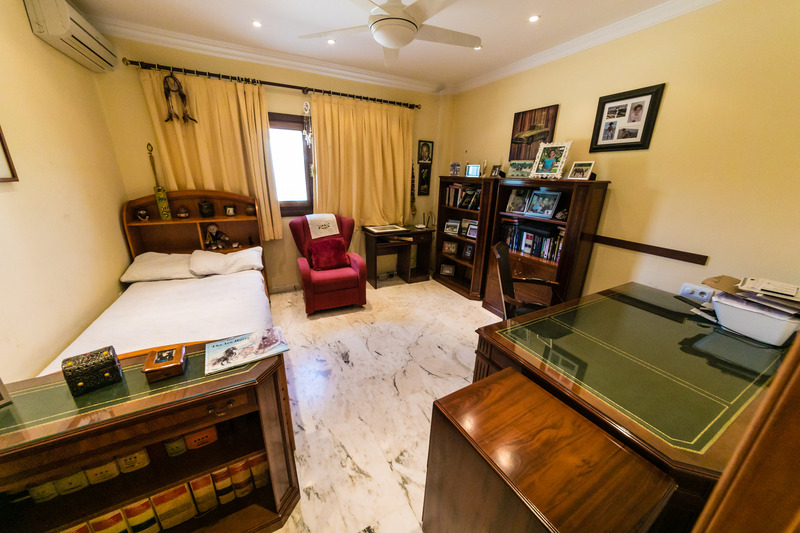 Next to the suite is another bedroom with en-suite bathroom and lots wardrobe space. 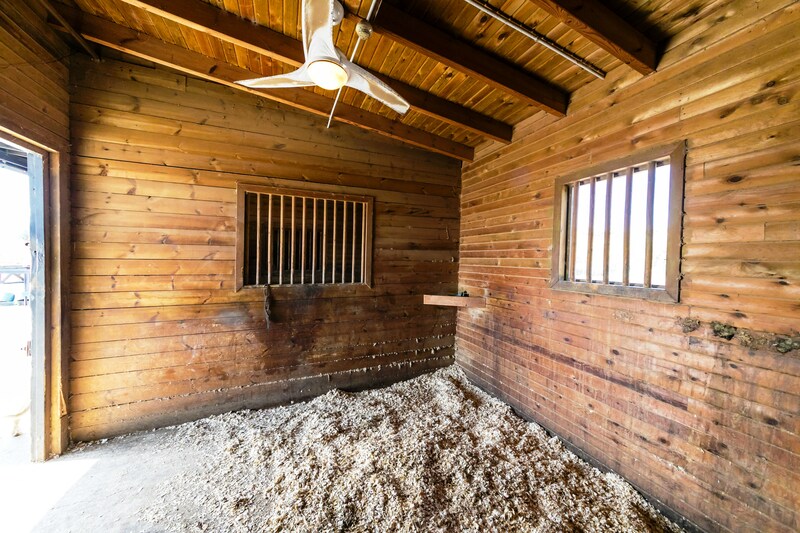 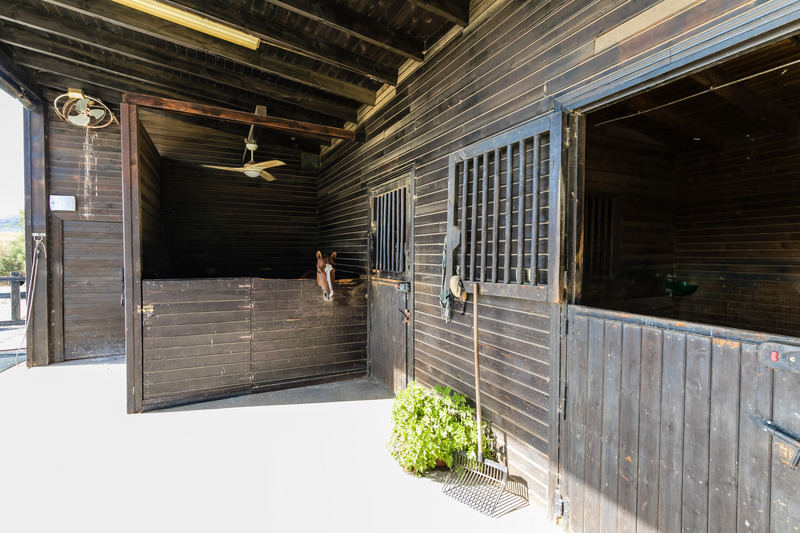 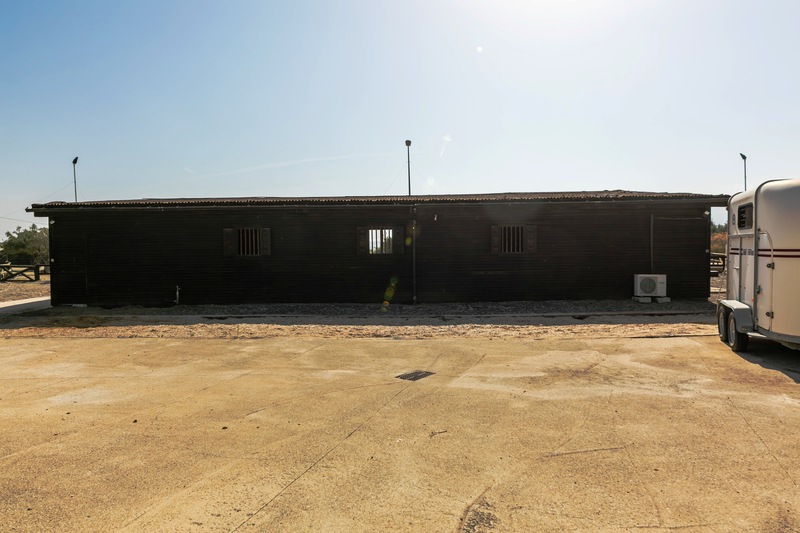 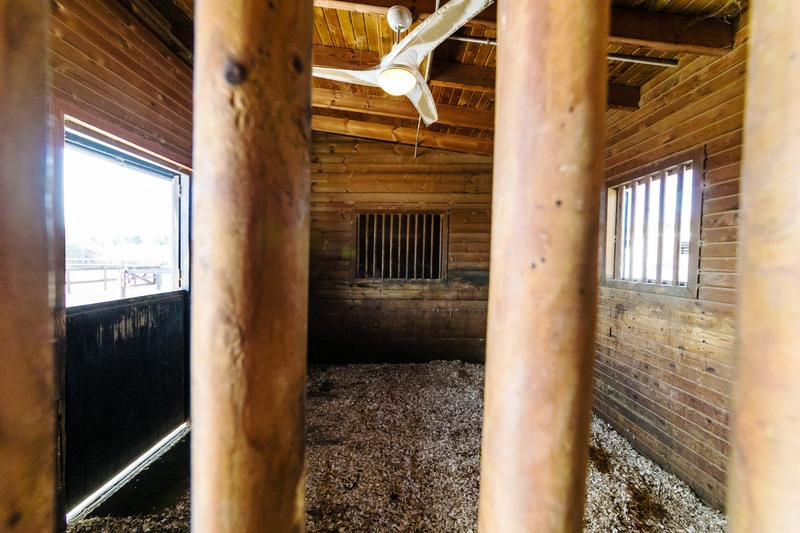 The impressive stables are accessed via their own private entrance and currently have three spacious loose boxes each measuring 4x4m, and a smaller box, there is room to create more. 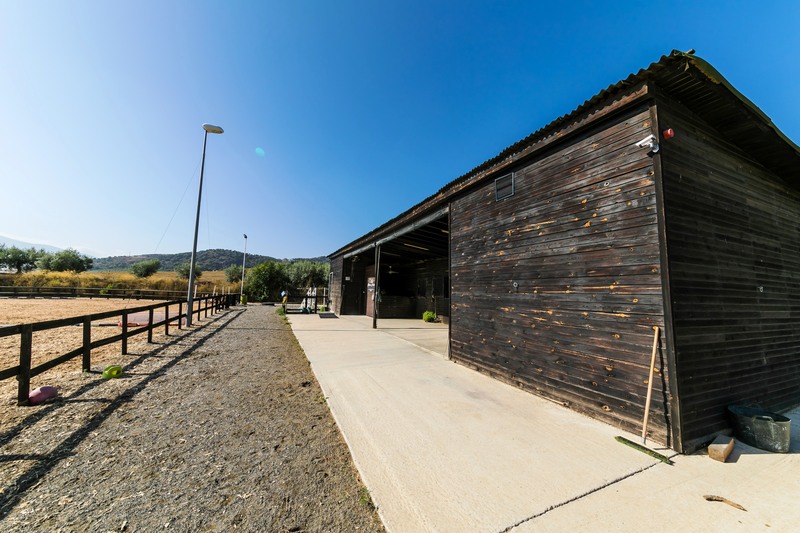 There is a large tack room and a feed room each measuring 8m x 4m. 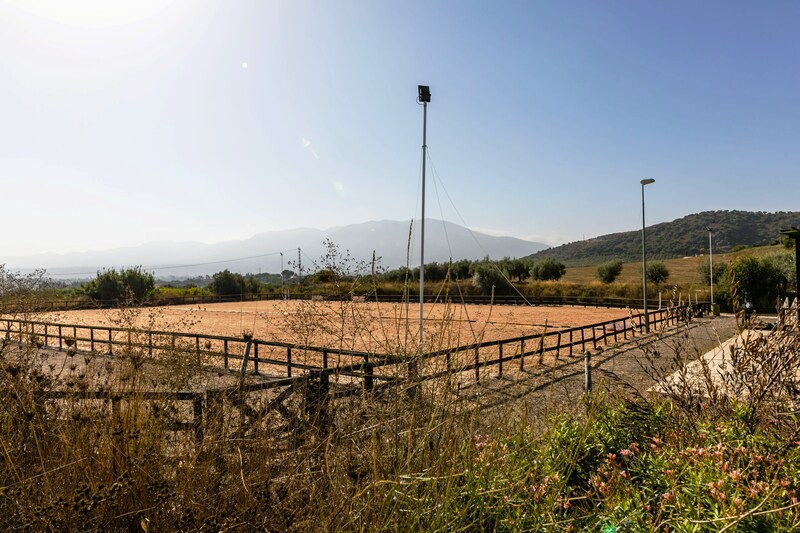 An arena, a track of 330m and a schooling area of 55m x45m, all floodlit, well drained and with geotextile surface. 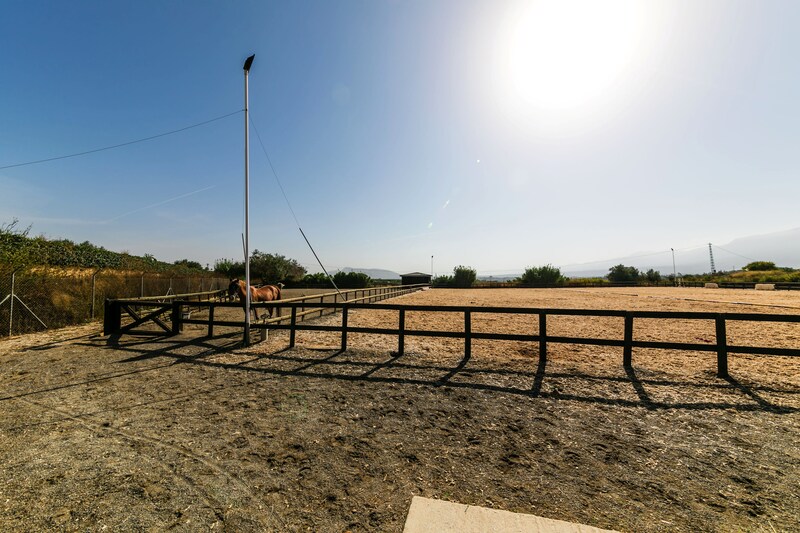 There are jumping poles and jump stands with the sale of the property. 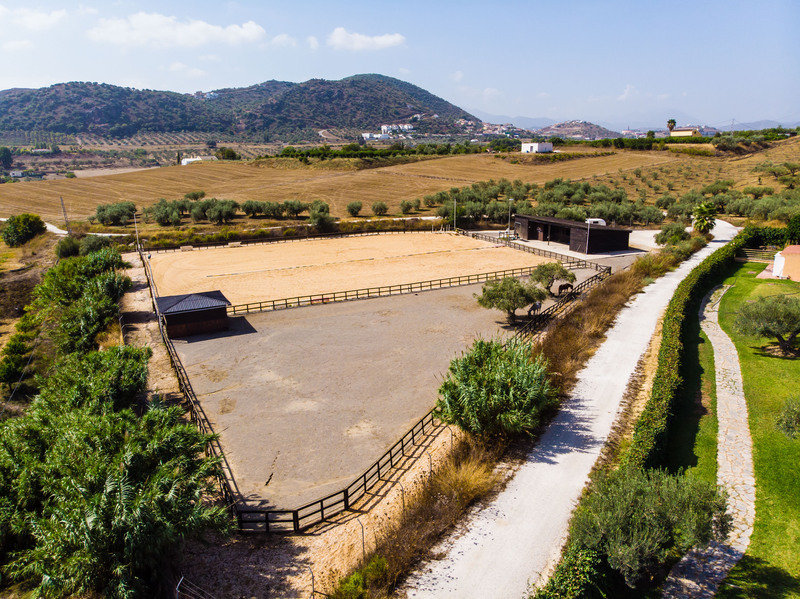 There is good riding in the area and it is possible to ride to Coín, Alhaurín el Grande and Villafranco.